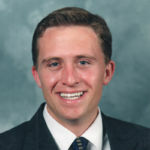 Nathaniel M. Lambert is an Assistant Professor of Family Life at Brigham Young University. He received his Ph.D. in Family Science from Florida State University in 2010. His research interests include self-regulation processes within relationships and positive relationship processes. A recent PhD graduate, he already has over 50 papers published in research journals. He serves as an associate editor of The Journal of Positive Psychology.